With Olivia under the weather, Operation Mr. Mom is underway. Successfully got Kate to school and now enjoying breakfast at Cracker Barrel before taking Sara to preschool. Obviously I’m not very good at fixing Sara’s hair. Home » Blog » Family » With Olivia under the weather, Operation Mr. Mom is underway. 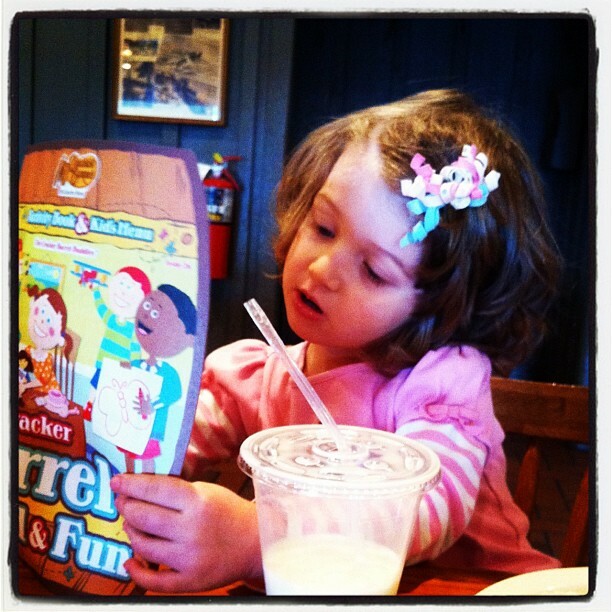 Successfully got Kate to school and now enjoying breakfast at Cracker Barrel before taking Sara to preschool. Obviously I’m not very good at fixing Sara’s hair.